Companies with corporate social responsibility (CSR) platforms at the heart of their business models are reaping significant benefits. 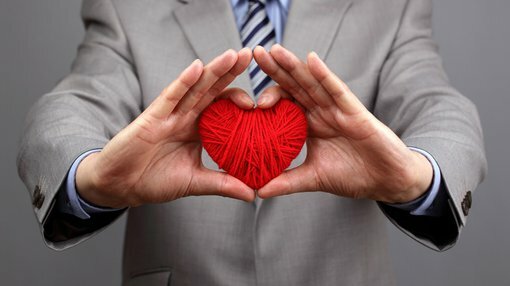 Social responsibility has moved from being an ill-considered add-on to the business unit, to become a critical part of an organisation’s structure and includes everyone from high-level management to staff. The most successful businesses today see CSR as non-negotiable and commit the entire organisation to a cause. An organisation should be looking for buy-in with regard to returns on investment and the difference being made. This trend towards CSR has become apparent in the last 20 years and businesses have changed their thinking from the double bottom line of financial and environmental requirements to a triple bottom line attitude with the addition of social responsibility. We are talking about big business, however start-ups may also offer a new way of thinking when it comes to social responsibility. From inception, start-ups have the opportunity to try an integrate charity within their revenue models. It is a far removed method from tacking on social responsible duties to a company’s PR or HR department. In the past, you would often see more established companies send $1 dollar to charity for every $10 dollars spent – usually as part of a limited offer sales campaign aimed at driving short-term sales metrics. In contrast start-ups are finding ways to integrate charitable activity into the very core of their business models – and it has two aims. First and foremost it is to do the right thing. If you log onto Twitter, you’ll see more advocacy of social causes than perhaps in any time during human history. According to Pro Bono News, a news service covering the non-for-profit sector, this rise in advocacy correlates with the rise of the Not-for-profit (NFP) company. NFPs contribute $43 billion to gross domestic product, employ approximately 890,000 people, and have an estimated five million volunteers on the books. Today, it would seem that people care more about giving and are willing to open their wallets to show that. The second aim is more business focused. Start-ups which may be focused on customer acquisition, can use their social responsibility platforms in a canny way to drive more people to their business platform. Making people feel good about a purchase is a point of difference compared to competitors who do nothing to improve the community around them. One company firmly in the customer acquisition phase is interior design platform provider Kabuni (ASX:KBU) – although managing director Neil Patel told Finfeed that viewing its charitable work as simply a customer acquisition tactic is insincere. “Adding a charitable component for the sole purpose of fulfilling a customer acquisition strategy without any real impact to the community is disingenuous and people will see straight through this,” he said. Kabuni has been hard at work creating an app to capture what it says is the $68 billion interior design market in North America. Its platform connects those looking for interior design services to interior designers, while also functioning as a marketplace for local furniture artisans. As part of the business model, 2% of Kabuni’s revenue goes to a mixture of charities – all trying to alleviate homelessness. Patel said the decision to integrate a charitable function within its revenue model is one it took because, aside from just being the right thing to do, it would connect with its key market. The move also fits within its raison d’etre. “Our vision is one that resonates with many people, as we are working towards building a brighter future, by building better homes for everyone. Reducing homelessness is a big part of that. “The home is something that is universal and having a home is something that everyone deserves to have; it is a basic human need. Our vision instantly creates connection as it’s something that transcends cultures, language and other differences. Kabuni’s approach to social issues is not just a PR stunt, but is core to everything they do and is indicative of a new approach the business world is taking. Similarly, businesses which align themselves with social causes but then abandon their much-vaunted principles in chasing a dollar are feeling the wrath of the consumer. Earlier this week it emerged that Telstra was pulling its support of a public campaign in support of marriage equality. The reason for pulling the support is said to be pressure applied by the Catholic Church, a big customer of the company. Suffice to say, Telstra customers and the commentariat in general were scathing of the back-flip.